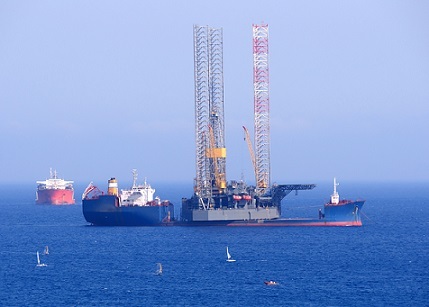 In early October, the Cypriot government invited tenders for gas extraction in Block 7.1)Cabinet looking for gas licensees for Block 7, Cyprus Mail, 2018-10-03.Ankara believes that this step impairs the interests of both Turkey and the Turkish Cypriots and announced that remedial measures will be taken, which might entail an escalation of tensions in this region of the Mediterranean. Turkey neither recognizes Cyprus’s maritime borders nor the agreements its exclusive economic zones. Nicosia manages the gas exploration in the waters it considers its own. This leads to a conflict about which the Gefira Team is reporting on a regular basis. In February we described the complex situation in connection with the gas blocks around Cyprus.2)Natural gas sets the stage for an armed conflict in the East Mediterranean, Gefira 2018-02-23.Then the Turkish navy stopped the exploration ship of Italian Eni from entering Cyprus’ territorial waters by threatening to sink it.3)Turkey’s Navy Threatens To Sink Eni Drilling Ship Offshore Cyprus, Oil Price 2018-02-23.In response, Rome sent its own ships to the region. So far, the dispute concerned the southern and eastern basin around Cyprus. Last week Nicosia invited tenders for gas exploration in Block 7, which could be another casus belli, because Blocks 1, 4, 5, 6 and 7 are crossed by the Turkish-Egyptian border, recognized by Turkey. Cyprus, however, in 2003 concluded an agreement with Egypt regarding the Exclusive Economic Zone (EEZ), which Ankara does not honour. The Turkish government is of the opinion that both the Turkish authorities and North Nicosia (the capital of Northern Cyprus) have the right to decide on the exploitation of these sectors. Ankara will take steps to protect its rights and those of Turkish Cypriots, including the blocking of the third party’s exploration5)Turkey slams Greek Cyprus’ unilateral ‘license’ move, Anadolu Agency 2018-10-04. 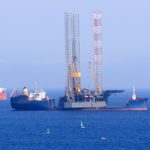 We expect that if the Turkish Navy again blocks the exploration vessel of the Italian Eni, or the French TOTAL, or the American Exxon-Mobil (these companies were invited to take part in the tender), the reaction of the governments of the respective countries will be stronger than it was in February. 2. ↑ Natural gas sets the stage for an armed conflict in the East Mediterranean, Gefira 2018-02-23. Next: Does the United States strive for a new Cold War?